Whether you’re a fan or not, there’s no doubt that IFTTT (If This Then That) has revolutionised the way that we work as marketers. Despite it being a free web based service and quite the veteran in the online world – IFTTT recipes first came onto the scene back in 2011 – it is still one of the marketing world’s best kept secrets. Social media marketing in particular has benefitted from the use of IFTTT, and it has been used to streamline activity, enhance productivity and automate promotion, what more could we ask for! Getting started with IFTTT is easy, and in this blog we’ll answer those important questions surrounding IFTTT and give you the recipes you need to get something cooking in your own camp. No matter what your client base’s market niches or business sizes, chances are they all want to use social media to increase sharing of content from their website or blog, and utilising IFTTT has been a vital part of this formula. IFTTT recipes are essentially chains of conditional statements that, as the creators behind the phenomenon put it, “put the internet to work for you”. These recipes essentially aim to connect two channels so that they can operate effectively in unison. As you’ll discover your chosen recipes work to generate a trigger and action to produce the automation solution you need. IFTTT currently supports some 110 mobile apps and web channels, this includes all the social networking favourites your client will want to use to expand their reach and communicate with their target audience. Getting started is easy, all you have to do is sign up for a free account at IFTTT.com, where you can access various recipes to connect the channels you want to work with. Whether you are syndicating to web 2.0 or your social accounts, the use of IFTTT recipes can make the process effortless, allowing you to concentrate on other areas of your social media strategy. The content on your blog offers all the social media inspiration you need, and can provide that all-important link between your social media accounts and your client’s website, and generate social signals in the process. Syndicating blog posts will also showcase your expertise in order to gain trust with new consumers and cement loyalty with existing customers. Facebook is of course the crème de la crème of blog syndication, due to the character restrictions on Twitter, and by using the If WordPress Then Facebook recipe you can automatically share any new blog posts published via your Facebook page. 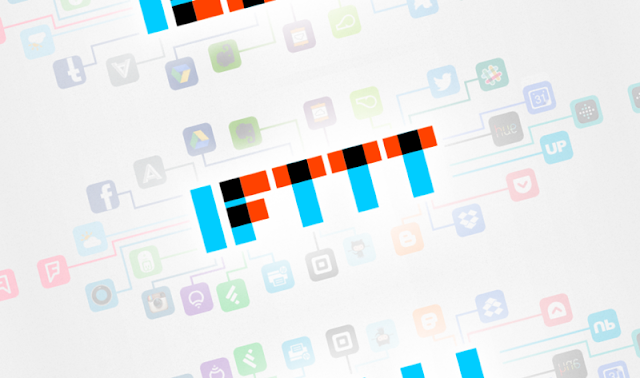 There are many more IFTTT recipes, with new ones being added by the IFTTT community daily, that provide automation across multiple social media accounts, and as well as saving time it also instills a brand uniformity that consumers love. Social media profile management is another task made easy by IFTTT. When your client wants their profile picture updated, altering this imagery on every account one by one is a time consuming affair but with this If Facebook Then Twitter recipe you can automatically keep the profile pictures used on Facebook and Twitter in sync. Keeping track of social media activity has been automated to ensure that gathering data for weekly, monthly or even quarterly reviews of what content has been posted is no more time consuming than it should be, and that repetition of tweets and links posted can be avoided. The If Twitter Then Google Drive is a popular recipe, and there are various recipes available to ensure social media content, links and certain hashtags can be saved and are searchable. There are recipes of this nature servicing other social platforms also. Getting to know your target audience is of course the number one rule of social media marketing, and believe it or not, IFTTT can be used to automate this too and subsequently increase engagement. Besides Facebook lists, Google+ circles and LinkedIn connection tags, Twitter lists are another simple way to organise social media usage. Connecting with people who are actually interested in your product or service, or your wider industry, is an important part of keeping the content you post sharable and by automatically building a Twitter list of users who are talking about a particular hashtag you can take a more targeted approach to promotion. The If Twitter Then Twitter recipe does this for you and can also be used to generate hype surrounding company events, interest groups and brand campaigns. There are countless IFTTT recipes just waiting to make social media marketing and creating your own social fortress simple, and the list is growing thanks to the thousands of IFTTT users that create and share their own recipes every day. Connect the apps and devices that sit at the heart of your strategy by exploring the world of If This Then That statements for yourself and find an easy way to automate, promote and engage. This post was written by Richard Barker. As the founder and owner of Harrison Mann, he certainly knows a thing or two about how to market businesses effectively, and specialises in the delivery of search engine optimisation, PPC, content marketing, design and digital support. During his time within the industry, he has worked with brands from multiple niches in search of results online and using a range of diverse strategies the Leeds based agency has been able to communicate confidently with audiences and promote the products or services of its clients effectively.